Do you like to fish? Do you prefer day trips or do you enjoy combining your fishing trip with a camping trip? This week’s stop on our tour of top summer vacation spots in Canada is the province of Saskatchewan. 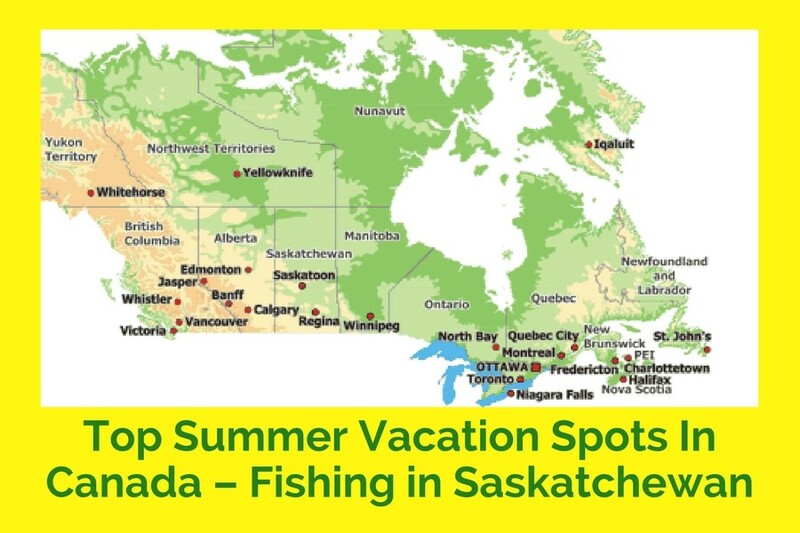 The province of Saskatchewan is famous for its freshwater fishing trips because of the fact that it has close to 100,000 lakes and rivers covering almost 1/3 of the province, as well as a large number of fishing lodges for people to choose from. Cowan Lake, Saskatchewan – Image Source Prairie Outdoors. Saskatchewan is known as one of the sunniest places in Canada. In May the temperatures usually hover around 15 C or 60 F, but by July it can be as hot as 30 to 34 C or 90 – 95 F. Of course every summer is different, but typically July and August are the hottest months of the year in Saskatchewan. 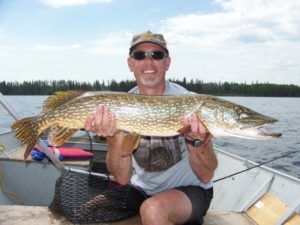 One of the most popular fishing trips is a fly-in trip to Northern Saskatchewan where you can catch Northern Pike and Walleyes. For this particular trip you would fly by floatplane from Otter Lake to a remote camp known as Pine Island Resort. This location is setup with beautiful rustic cabins, as well as a main lodge with a dining room. You can bring your own food for your trip or you can dine in the main dining room. People travel to Saskatchewan from all over the world just to go fishing. Some people do a week long group fishing trip every year. They often book their accommodations well in advance, especially if they intend to do a fly-in fishing trip. If you enjoy fishing and you haven’t booked your summer vacation yet, why not book a trip to Northern Saskatchewan and go fishing this summer?